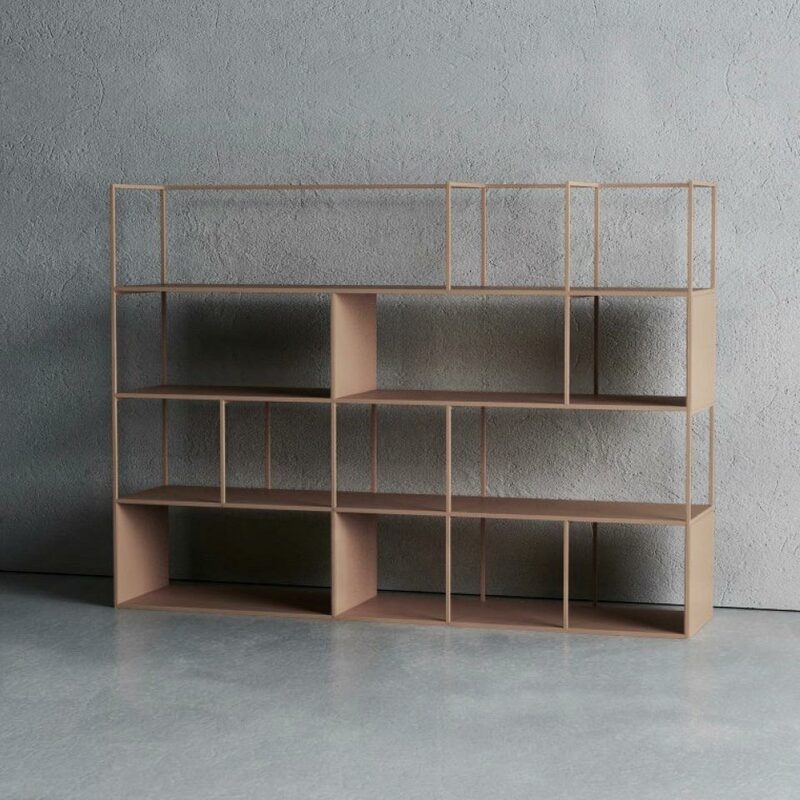 The MOD shelving system reinterprets early industrial shelving units, with its minimalistic restrained design. 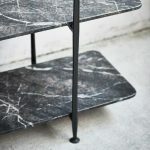 Originally conceived as an office shelf, it also finds its way into the living room. 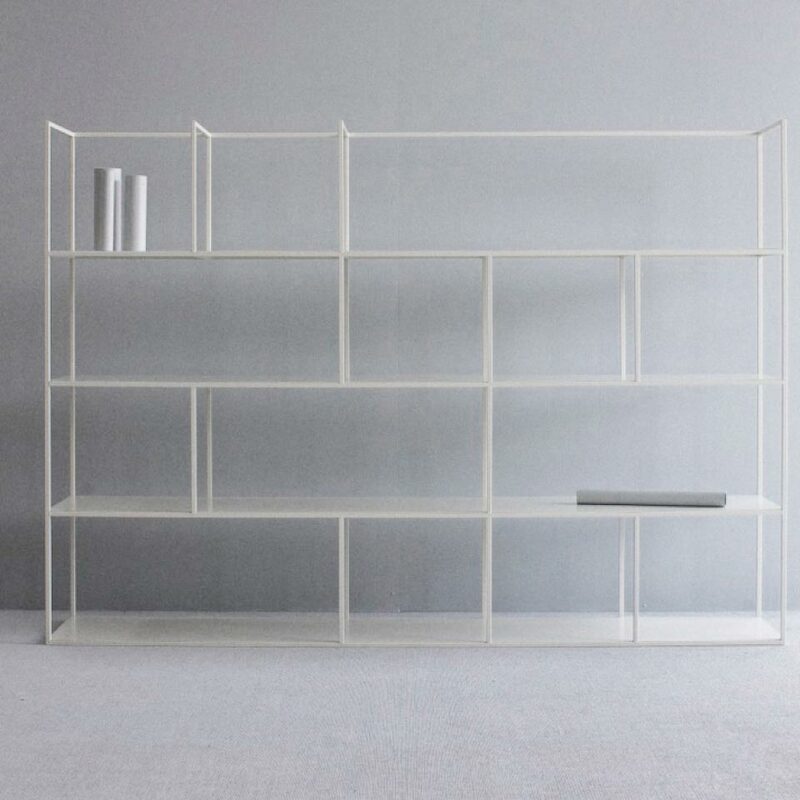 Constructed from square steel tubing and sheet metal, the lightweight frame is used to suspend thin shelves. The MOD is available in three standard heights with vertical dividers that can be used to rest books on, or as sculptural elements. 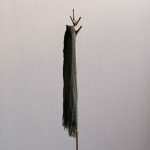 It is an all steel product with a powder coated finish.